Soy is a SuperFood that offers tremendous health benefits, and you don’t have to eat tons of it to enjoy its considerable advantages. 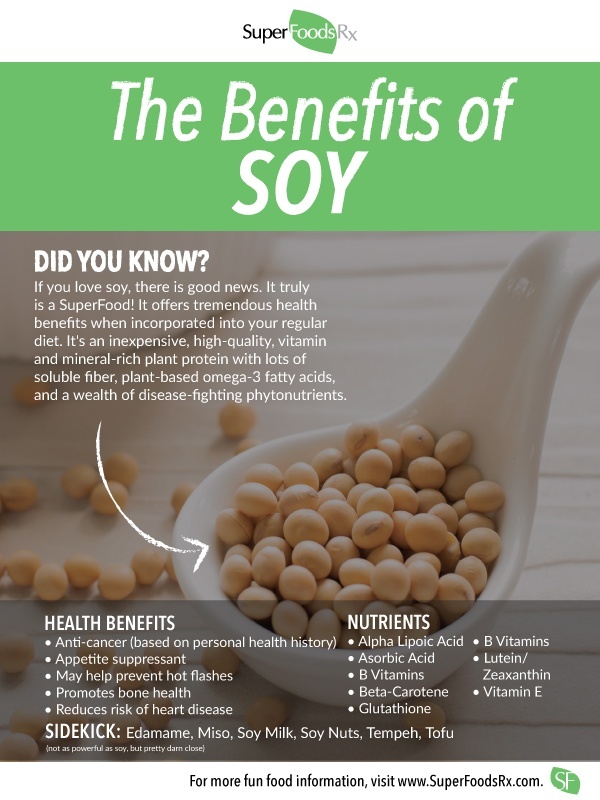 Soy is an inexpensive, vitamin- and mineral-rich plant protein with lots of soluble fiber and plant-based omega-3 fatty acids. Even more importantly, it offers a wealth of disease-fighting phytonutrients. 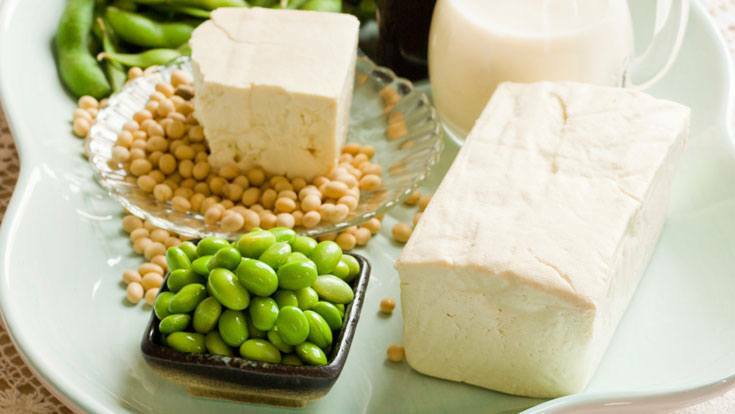 Soy is also the richest known dietary source of powerful health-promoting phytoestrogens and has been recognized by many researchers as playing a positive role in preventing cardiovascular disease, cancer and osteoporosis. It’s also been shown to help relieve menopausal and menstrual symptoms in women. Soy protein is completely cholesterol free and my help reduce your LDL (“bad”) cholesterol by 3 percent. Soybeans have been cultivated in China since the eleventh century B.C. Indeed, the soybean is the most widely grown and utilized legume in the world. The Chinese name for the soybean is “greater bean,” and soy is also referred to as “meat without bones.” Like other beans, soybeans grow in pods, and while we commonly think of them as green, they can also be yellow, black, or brown. The soybean was introduced to America in the 18th Century by that innovative, forward-looking American Ben Franklin, who, impressed with what he called “cheese made from soybeans,” had some beans shipped from Paris to a group of farmers in Pennsylvania. It wasn’t until the next century that soybeans were extensively planted by American farmers, however. In the 20th Century, people began to recognize the health-promoting qualities of the soybean, and today, to many people’s surprise, the United States is the world’s largest commercial producer of soybeans.